Sheila A. Millar is a partner at Keller and Heckman LLP, where she represents businesses and trade associations on a variety of public policy and regulatory issues, including privacy, data security, cybersecurity and advertising matters, as well as product safety issues. She has been involved in a variety of audit and compliance projects, including, among other issues, privacy and data security audits, and is experienced in providing crisis management legal support to a variety of national and international companies and associations. 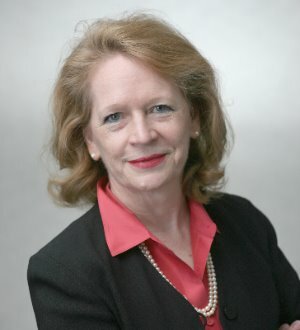 Ms. Millar is a frequent speaker on regulatory and public policy matters, and has authored many articles. Ms. Millar is one of the vice chairs of the International Chamber of Commerce (ICC) Marketing and Advertising Commission, and chair of its Working Group on Sustainability, where she spearheaded the development of the ICC Framework Guides on Environmental Marketing Claims. Ms. Millar is AV® PreeminentTM Rated by Martindale-Hubbell and for the seventh consecutive year was selected by her peers for inclusion in The Best Lawyers in America® 2017 for her work in practicing Advertising Law. She has also received the distinguished honor of Advertising Law "Lawyer of the Year" 2014, 2015, 2016 and 2017 in Washington, DC by Best Lawyers®.